I'm half-Irish and have always loved the Irish culture. 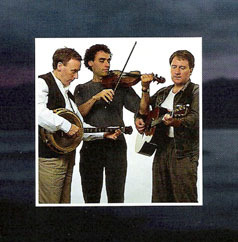 I especially enjoy its music, traditions, stories, and poems. So here is my lil tribute to Ireland! But first an Irish Blessing. Enya- I was first introduced to Enya's music when my grade school PE teacher repeatedly used her music for our "cool downs." That and Yanni. Never caught onto the Yanni-appreciation and hated the class itself but... loved the Enya music! (And must begrudgingly admit I've found myself using tracks from her for "cools downs" during my own work-outs.) Two of the songs that really made me want to go out and purchase her CDs were "Storms in Africa" and "Orinoco Flow". Other favorites include "Only Time", "Anywhere Is", "Hope Has a Place", and "Fallen Embers" which always reminds me of C.S. Lewis' Aslan. Loreena McKennitt- Okay, first off, McKennitt is actually Canadian. I realize that. :-) The reason she's here is because many of her songs are Irish/Celtic in origin or influence. Some of my favorites are "The Mummers' Dance", "The Lady of Shalott", "Standing Stones", and "Dickens' Dublin". But lately I've also been really drawn to "Samain Night" and "All Souls Night". I've heard she's working on a new CD and can't wait! It's been too long! The Black Family- The three brothers from this group actually came to my school when I was in high school! Its was so cool! They even taught us Irish dancing! LOL Okay, now you all know what the highlight of *that* school year was for me. Their songs are bit more modern than some of Enya's and McKennitt's but still really great. I bought both their CDs after they came to school and love them! 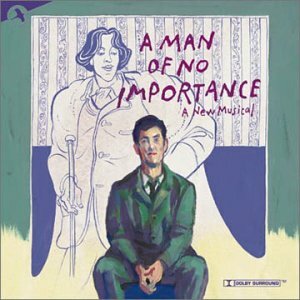 A Man of No Importance, a musical by Stephen Flaherty and Lynn Ahrens, performed by the 2002 Off-Broadway Cast- I used to attend nearly every production at one of our local theatres. So when they did this show, I went. I'd never heard of it before but loved it. In fact, I went twice and will be going again soon now that it's being produced at another local theatre. The musical tells the story of Alfie Byrne, a Dublin bus-driver trying to put on a production of his hero Oscar Wilde's Salome. Through working with Wilde's work, Alfie and his cast are confronted with issues in their own lives that threaten not only their play but also their relationships. I loved the plot and characters of the musical and this recording of its music. Particular favorites are "The Streets of Dublin", "Our Father", and "Love Who You Love." 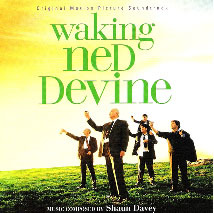 Waking Ned Devine, motion picture soundtrack with music composed by Shaun Davey- I all ready mentioned this on my favorite CD page. So I don't want to be completely redundant but I love this score. And the songs are great, too. It has reels and even a ballad for the eponymous Ned. "Hear Me" nearly brings me to tears every time I hear it and I *love* this version of "The Parting Glass." It's definitely on my St. Patrick's Day play list! I happened upon this movie on HBO one afternoon and was immediately drawn into it. 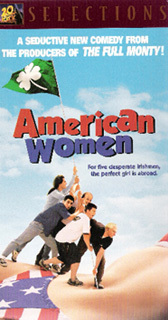 It's a romantic comedy about a group of Irish men who decide to place an ad in the Miama Herald to entice young, American women to come to Ireland in hopes they'll date them. Some of the village women are appalled, the parish priest doesn't know what to do, and the men eagerly anticipate the St. Martha's Day dance when the women are due in. I love it. Makes me feel good every time I watch it. Ian Hart as the clueless Kieran is hilarious and Sean McGinley as his brother Ian is the ultimate nice guy. And Risteard Cooper's Father Malone's suit analogy made me wish I went to his parish! There's not a person in this movie I didn't think was fantastic. One of my all-time favorites. I took a class on sacraments and rites for my Theology degree and our prof showed us a scene from this when we studied funeral rites. We only watched about five minutes but I knew I had to see the whole movie and bought it online as soon as I could. I don't regret it. You can laugh and cry with this one. If my eulogy is half as good as the one Jackie (Ian Bannen) gives Michael (David Kelly), I know I'll have lived a good life. 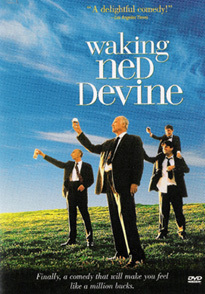 For those who've not heard of it the story is Ned Devine wins the lottery and promptly dies of shock. Those in his little village decide it's too much money for the town to lose and, anyway, Ned would want them to have it. So led by long-time buddies Jackie, Michael, and Jackie's wife, Annie (Fionnula Flanagan), the villagers try to fool the lotto man into thinking Michael is the still very much alive Ned and attempt to collect the winnings. This movie is hilarious and touching. It deals with big themes like friendship, community, and grief. I can't wait to watch it yet again!